This fantastic, fully-furnished business centre consists of offices and meeting room facilities provided with modern systems and virtual offices. 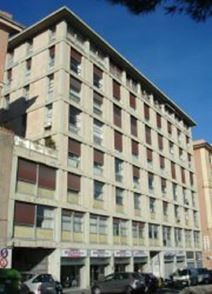 The centre is centrally located in Genoa, well served by public transport and surrounded by shops, bars and restaurants. Here, your business will benefit from a comfortable work environment, with support services available to hep with your administration and more. Equipped with modern, ergonomic office furniture that creates a professional environment, this centre is located on a modern and newly-built business park near the Port of Genoa in the Sanpierdarena district. Just over a 10-minute drive from the airport and around 2km from the main railway junction of Genoa Principe. Moreover, the site is accessible 24/7 allowing you to work through late hours. It is the ideal space for companies with international clients, and may be required to collaborate across different time zones. This accommodating turnkey solution is available for immediate occupation, so you can set up your business with ease. Set in an historic building by the harbour, this serviced office centre provides a choice of elegant workspaces with quality businesses services and support. Close to various train and bus connections, and the airport is just 15 minutes away by car. This is the ideal workspace solution for companies with both local and international clients.